Are beaches public where roads end? Who can do what at road-end beaches creates conflicts between private property owners and the public. Photo: EPA. The latest speed bump in a decades-long Michigan struggle over who gets to toss a Frisbee on a Lake Michigan beach may soon be over. But it’s far from the end of the road. At issue is a popular stretch of shoreline where 121st Ave. meets the water in Ganges Township, Mich., about 40 miles southwest of Grand Rapids. Waterfront property owners say they have exclusive rights to that sand. But nearby neighbors and members of the public have long been fighting for the right to play in it. The 40-year struggle symbolizes growing conflicts throughout the Great Lakes over who can do what where a public road stops at a lake. With more than 10,000 miles of coastal, inland and island shorelines, the Great Lakes have the most freshwater access in the world – at least, in theory. It takes a walkway, alley, park, easement, road or outright ownership of shoreline property to actually get to all that water. When developers created subdivisions they had to make sure each lot had access to a road – a process called platting – to prevent landowners from having to trespass to get to their property. In Michigan, many of these plats feature a lakeshore boulevard with roads ending at the water’s edge, resulting in dozens of road-end beaches. Legal experts say the 121st Ave. beach battle is a landmark conflict. “It raised the first case that deals with this particular issue in Michigan,” said James Nelson, an attorney who represents Ganges Township and public’s right to recreate. The case has already set legal precedents. An earlier appeals decision established the public’s right to gain legal access to Michigan waters and beaches not only because of use in the past, but also because a municipality has controlled and facilitated that use, said Jeff Jocks, another attorney on the public’s side. After a decades-long struggle involving several parties, courts and judges, the public earned the right to toss a Frisbee in 2008. But the battle is far from over. The neighboring property owners appealed the latest ruling. The Michigan Court of Appeals sent the case to the Allegan County Circuit Court, which held a trial last month; lawyers submit final arguments this week. The judge should make a decision by late-August or early-September, Nelson said. To win, Nelson has to prove that the township controlled and facilitated recreation on the beach for more than 15 years. The battle could go on until all appeals have been exhausted. “We intend to pursue litigation until it’s completed in our favor,” he said. Other Michigan townships are watching. “There are a lot of road ends up and down Lake Michigan having a similar situations,” Nelson said. The Tiltons and their attorney, Andrew Mulder, declined to comment. The struggle between private property owners and the public comes from the expectation that road ends will never be developed, said William Carey, a Michigan attorney who isn’t involved in this case but represents other waterfront property owners seeking ownership of public access sites. “Landowners will like to see their right of privacy protected. Now, in more recent times, there’s greater demand for public access. That’s where the conflict arises,” said Carey, who recently wrote about the issue for the Michigan Bar Journal. The cause of road-end conflicts is often a two-way street, said Chris Shafer, a professor at Cooley Law School in Michigan. The problem isn’t confined to Michigan. “There’s litigation all over the states and numerous cases of issues arising at road ends,” Shafer said. The tight squeeze at access sites along inland lakes have property owners throughout the Great Lakes region concerned about overcrowding at road-end beaches. A Minnesota official sees more and bigger boats contributing to congestion in his neck of the woods. And lately, Wisconsin legal experts worry about loopholes that make it easier for public access sites at road ends to end up in private hands. E ditor’s note: This is part of an occasional series on Great Lakes public beach access at road ends. Most lakefront property owners have no complaints about public accessing the water…they don’t own it…they know that…..but if you plan on “camping out on an adjacent easement or road….just stay on it!. And keep your belongings there,..and repect the neighbors. It’s like pulling teeth sometimes. If they’d ONLY try to IMAGINE if the tables were turned…. That’s how I was brought up…..but some of these people obviously come from parents with no morals or common sense. Did Mother Nature create this view for people who only pay high property taxes? We all pay our fair share. We all are entitled to our view on all subjects including to be able to put our chair down on any beach to enjoy its wonder. Been to Hawaii where all beaches, no matter who owns the property, high taxes or low taxes you can put down a chair and sit. What is wrong with the laws on the mainland? Greed(status)is consuming us. Michigan law is flawed. Sounds like people who buy property near Lake Michigan have not been properly informed that they are not buying rights right up to the water — the beach has always been a public place and hopefully always will be. Get over yourselves. If you had paid more for property that wasn,t near an end of the road access point, you’d have nothing to complain about. Be happy with what you have and quit raining on other peoples parade. We live up north on an Inland Lake and like our neighbor, own to the middle of the road where it ends at the lake. There is a clear distinction between “Road End” and “Public Access” and they are mutually exclusive. I pay for ALL of the frontage and to the middle of the road. However, I am NOT compensated or pay reduced waterfront property taxes but the local county and township INSIST that I allow people to cross over my property and access the lake. Fine, as long as you are willing to reduce my taxes, keep the clowns from doing stupid things and most importantly, remove me from any litigation that will arise when someone gets hurt using MY property to get into/out of the lake. Road End is NOT Public Access. 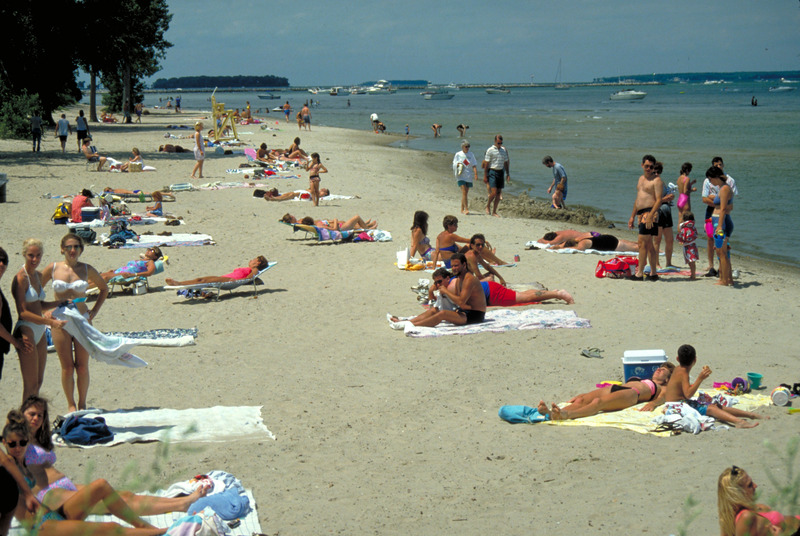 There are plenty of “public beaches” with great facilities: bathrooms, picnic tables, shelter, docking facilties. 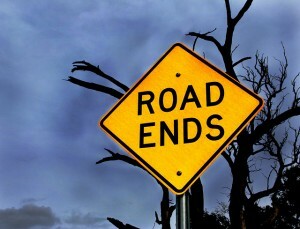 “Road Ends” means just that, no picnic area, no bathrooms, no facilities. If you want access to Michigan lakes either work hard and purchase a lakefront property and pay the exhorbitant taxes that go with that priviledge or go to a true “public beach”. Maybe those owners next to the road end should get consideration for their taxes since they have to share their privacy and their lot with others? Just a thought That just reminded me of a morning I went out in my pajamas to sit and look out at the lake while drinking my coffee. Our lot is up a bit and we walk down three steps to the beach. As I was sitting their some guy stood up and said morning. He was sitting on my shoreline and I didn’t see him. Privacy is not an option at a road end!!! I live next to a road end. Two small blocks down is a wonderful and very large beach with volleyball,sand,picnic tables, barbeque, restrooms etc. The problem? Can’t bring their dogs, can’t moor their boat or jet ski. So they show up screaming down the road at 8 in the morning to a family member to bring something back from their place down the road before I am up making sure I get up, let their dogs off their lead ending up in our yard to play with our dog, or growl and fight with our dog, or growl at us, or use our yard as their bathroom. One time I woke up in my hammock to a growling dog standing next to me. We have found their underwear,shirts, pants, socks etc. in our yard, we have no use for a radio anymore because we have learned to like their music. We fear getting hit by a jet ski because they come into the area where people swim going full speed to splash their buddy with the wakes who are swimming. Once we saw a jet ski nearly hit a women who was underwater and the jet ski came in going fast. Poor lady came up and looked all around her wondering what just happened. What happened at Pierport near Bear Lake and Onekama? Who removed the stairs that had been there for years and allowed the public to safely get down to the beach and watch sunsets? Now you have to take your life in your hands to get down to the beach. Who put up the signs designating the “public beach” area leading people to believe thar they can’t walk the beach to the north and south? If these signs were not put up by a governmental agency then a governmental agency should remove them. Same with the stairs – if they were not taken down by a governmental agency then charge the person who destroyed them with destruction of public property and replace the stairs. Our elders who have paid taxes for decades should be able to safely get up and down to the beach to watch sunsets ! This is a failure of local government bodies. Their is obviously a need for more beaches in Michigan. Why is it that Public Official do not buy more beachfront property? There is need, a demand. It appears that they have taken the safe course and allowed the Public to use road easement property to Lake Michigan as a Public Beach rather then tax for a truly Public Beach for which there is apparently a demand. And a MAJOR contributor to this problem is the Real Estate agents telling prospective buyers that they have “beach access”. Not informing them the LAW states – “to access the water for swimming and / or beachwalking”. Not CAMPING OUT in FRONT of adjacent property owners with lawnchairs, swimming toys, and other personal items. To the point that the RIPARIAN OWNERS ,family & Grand kids feel “oustead” from their OWN frontage!!. B.S.- privacy right thieves! AND their “I WANT WHAT THEY GOT” attitude! But pay higher taxes for those rights like the WATERFRONT OWNERS DO? You want a PUBLIC beach?…go to one. Road ends have neither the room or restrooms accessible for the public. Perhaps the HIGHER taxes (that the WATERFRONT OWNERS PAY!) can be divided amongst ALL waterfront users then. Sure,…they’d like that, I bet! Unfortunately the Michigan and US Supreme courts are both corrupt with their tea party judges in place for their rich class landowners. Although Texas gets many, many things wrong, there’s a public beaches access law here that says, simply, that beaches are accessible to the public. It’s being challenged in court, of course, but the law’s been in place for a long time and, fingers crossed, we don’t have these issues. This is a critical issue across this entire state. It effects our right to access the jewels of this state – it’s preciaous waters and the beaches, too. And not just at a couple spots on Lake Michigan, either. This battle is being fought on inland lakes and rivers all over this state. The beachfront owners have money and influence to buy attorneys and judges, the rest of us have our elected officials. We need to get laws passed though our township boards, city councils and the legislature to protect our public rights.